Krakow is as full of tourists as Prague. In Kasimierz, the Jewish quarter, they go around in electric wagons while a recorded commentary is broadcast in the required language. The tourists lean out with their cameras to take photos or film the famous historical places and their feet never have to touch the ground. Entering Rynek Główny, Main Market Square of Krakow, is pretty incredible. It is huge, full of thousands of people without feeling crowded, cafes all around, and dominated by the enormous St Mary’s Basilica. We had Polish beer and icecream and watched rap dancers while waiting for the trumpeter to play the Hejnał mariacki from the Basilica tower – this occurs every hour according to Polish legend. On our way back we saw an outdoor photographic exhibition of Pope John Paul II. 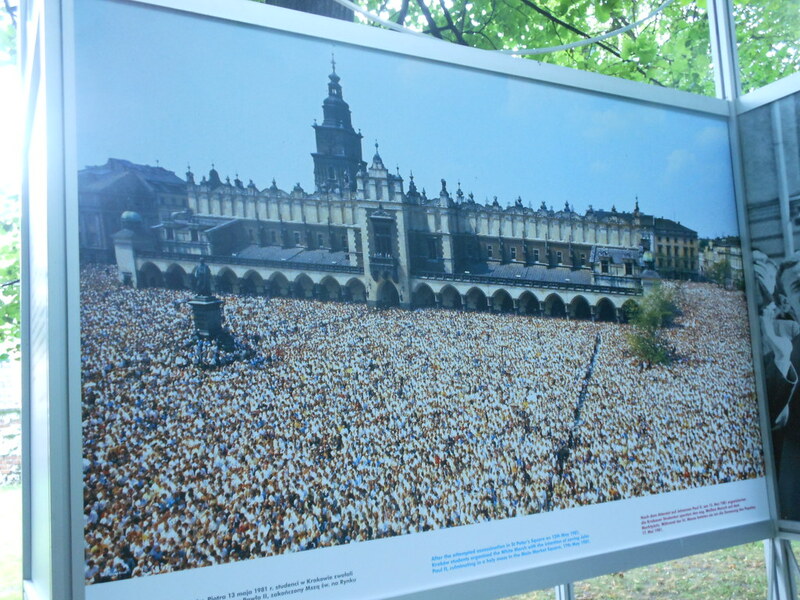 One photo showed Rynek Główny completely packed with people who gathered there for a Mass a few days after the attempted assassination of the Pope in 1981 – that was a massive (!) crowd. 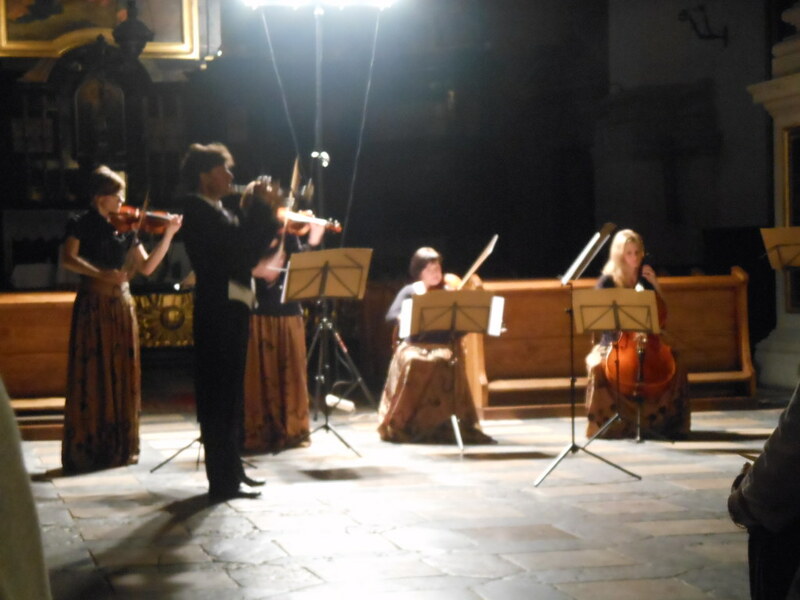 After dinner we went to a concert at the church of St Peter and St Paul, a string quartet with flute and trumpet soloists playing popular classics – Vivaldi, Mozart, Torelli, Chopin, Debussy. This entry was posted on 14 July 2012 at 9:23 pm and is filed under Poland. You can follow any responses to this entry through the RSS 2.0 feed. You can leave a response, or trackback from your own site.